The business is driven by Beth Fowler [P.E. 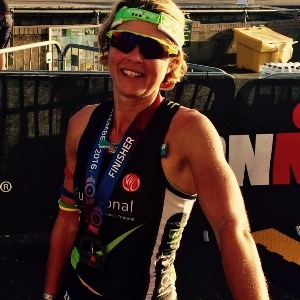 Teacher, Exercise Professional, BTF Coach, IRONMAN Certified Coach and an ex-Professional IRONMAN athlete]. She works with beginner through to advanced athletes. My philosophy and one that I aim to instil in all athletes is to strive for peak performance through balanced and progressive training. If we do the same thing, day after day, season after season then expect the same outcome, times, etc. Therefore the body and mind require Long Term Athlete Development, here at BFunctional that is the premise for all athletes. There is no quick fix, instead patience, hard work, progression and determination will ensure goals are reached. Training long term involves many layers, adding various fitness components, technique and recovery. The overall mapping of this is essential to ensure athletes peak at the correct time and achieve their goal. BFunctional provides coaching that is scientific, athlete-centric and knowledge-based. The coaching is delivered through Training Peaks, while implementing the key areas [endurance, recovery, nutrition and functional strength]. If you’re seeking the ‘Pathway to Complete Performance’ then please contact Beth at BFunctional. Success. Coach Bethan Fowler has been notified of your message.